For those of you who may have dogs that are not able to enjoy life among people, other dogs, in strange environments, or a number of other situations….we should talk. Having been an owner of aggressive and fearful dogs, I understand the heartbreak, the frustration and even the embarrassment of having a reactive dog. And having had success in teaching owners how to better understand their dogs’ needs and learn to manage and improve this behavior, I feel confident that I can help you. Ultimately, we want to be able to take our dogs out for a walk on the beach, a hike, or just sniffing around the neighborhood and really enjoy the time together…not to dread it. Your dog isn’t good at the dog park? Don’t take it so hard. The idea of a dog park being a utopia for dogs, is a human notion and not necessarily true. Some dogs are fine with dog parks, but it’s not necessarily right for every dog. Two or three play pals can be enough for most dogs. Often times when a dog is brought to a new place with a bunch of strange dogs with different play styles running towards him, around him, barking, etc. that can be overwhelming. You cannot force this on any dog. Before you can change your dog’s reactive behavior it’s important that he is comfortable in his environment…wherever it is. You must understand his needs, concerns, triggers and thresholds. And then you’ll feel comfortable as well, and back in control again. 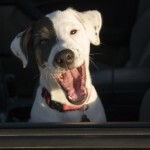 As always…this is done with positive reinforcement training only. It’s only fair. 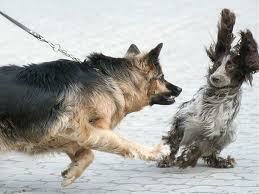 Private Training now available for fear and aggressive behavior in dogs. Call me in San Luis Obispo at 805-328-8030 and we can discuss some options for you and your dog.